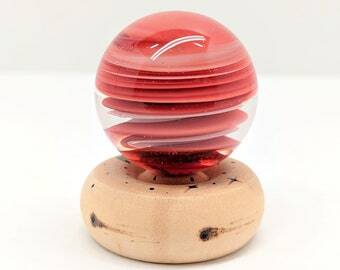 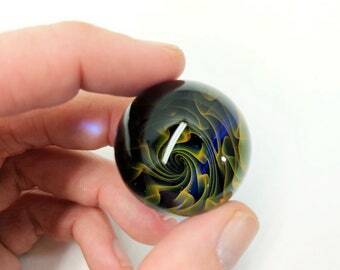 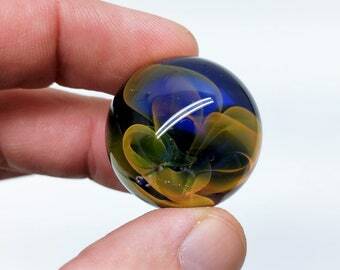 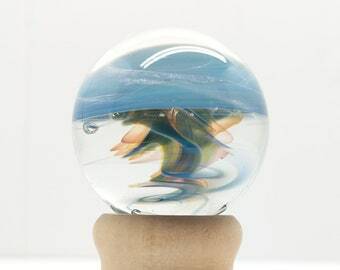 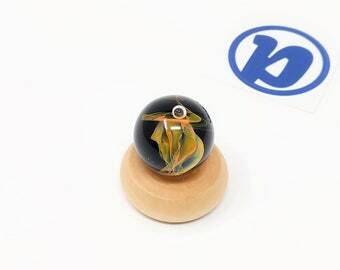 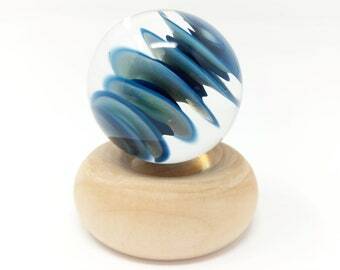 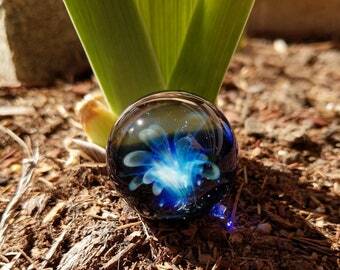 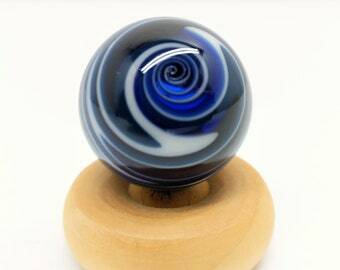 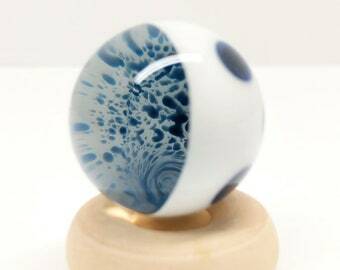 This beautiful Marble was handspun by Pathways artist, Sean, with 10mm quality clear glass rod. 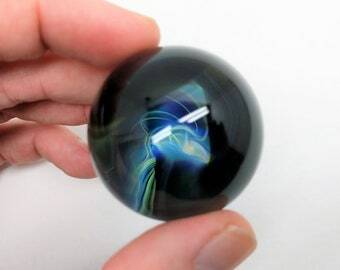 While gathering the glass, we make a ring of air that gets trapped inside the clear, and while molten, we let one side of the 'airtrap' close creating an incredible crescent moon. 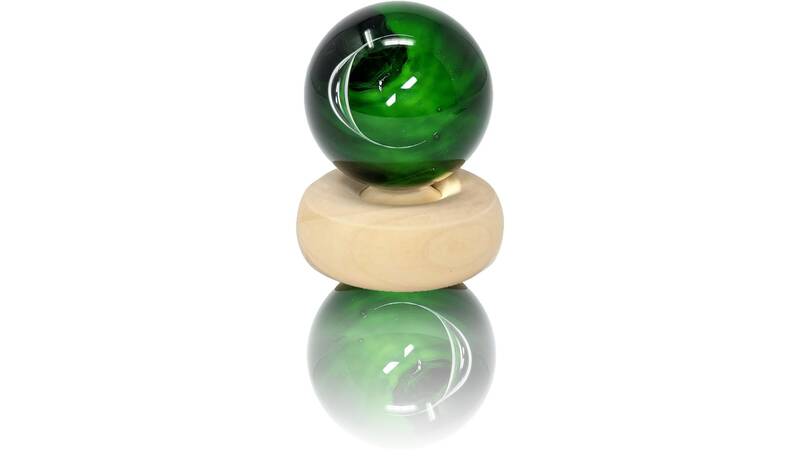 The piece is then shaped and backed with experimental green glass giving the piece an amazing emerald background, Backing has a touch of scarring, price reflects discount. 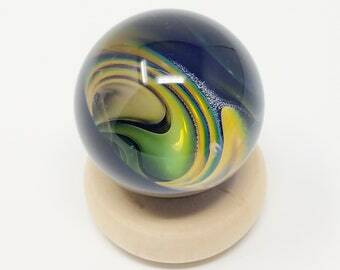 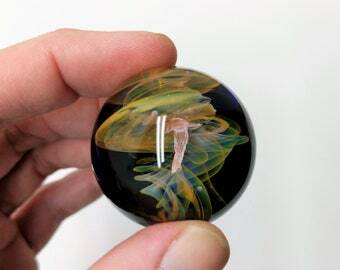 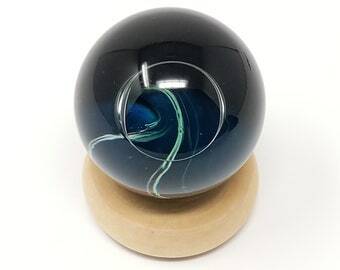 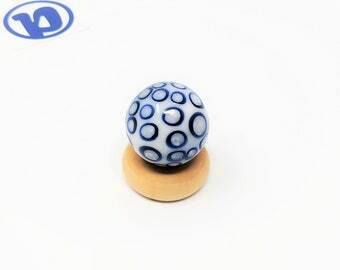 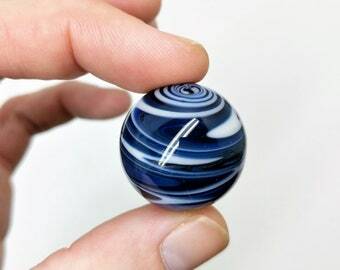 These marbles make unique gifts for any occasion!